Virtuoso's Cartridges VAD includes Sponger cartridges for Facebook. 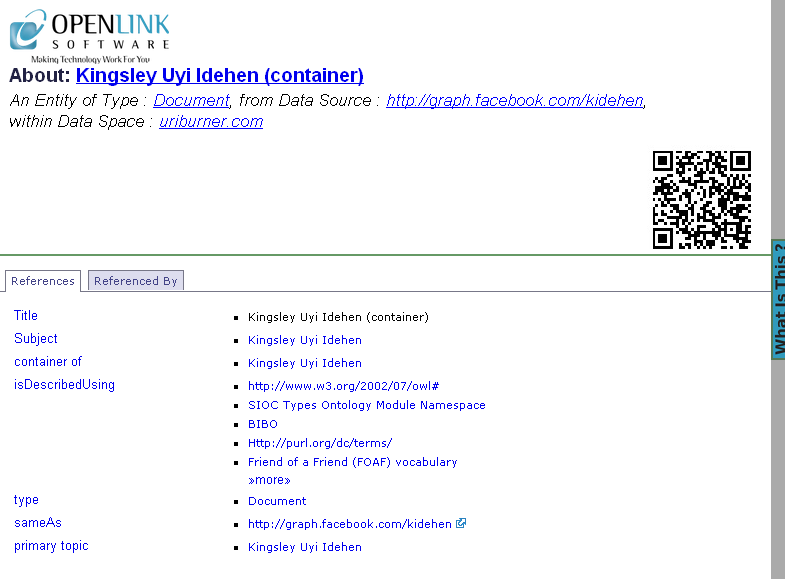 Two variants are included, for the Facebook Graph API and for Facebook Query Language (FQL). 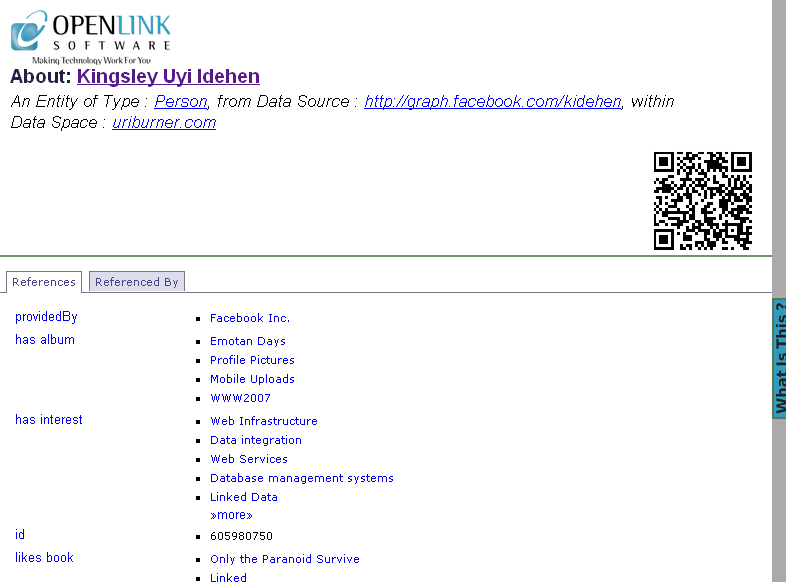 These notes, intended for a 'Sponger Administrator', provide configuration guidelines and brief implementation details for the first of these, the Facebook Graph API cartridge. 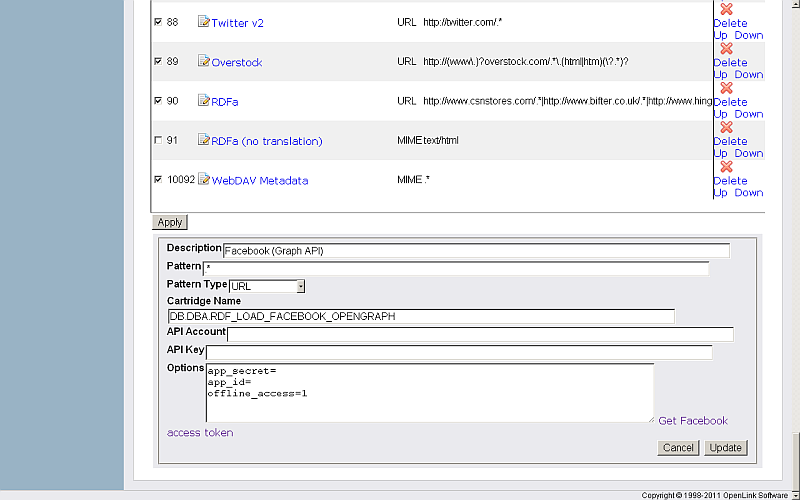 After clicking on the cartridge name, the cartridge's configuration details at the bottom of the page list the 'Cartridge name' as DB.DBA.RDF_LOAD_FACEBOOK_OPENGRAPH. This cartridge calls the Open Graph REST interface iteratively. After retrieving the metadata for the principal Open Graph object, it identifies the object's connections (Facebook parlance for other Open Graph objects of a particular type connected to this object) and queries each of these in turn. 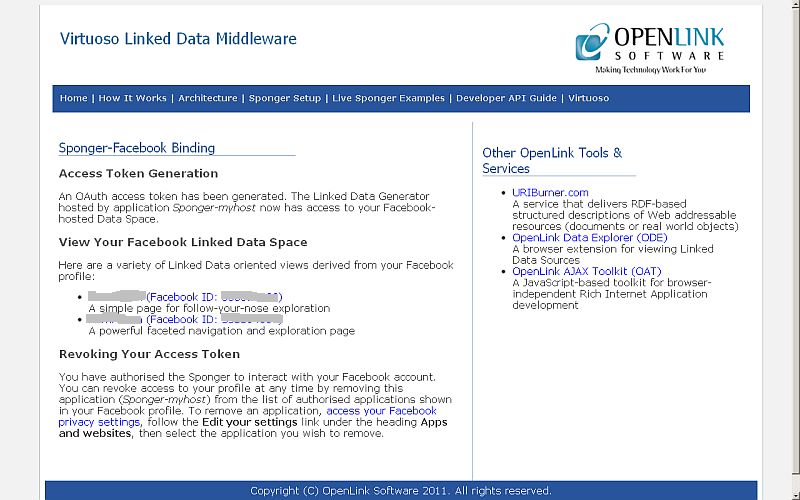 Which of these connections are accessible and the amount of data returned depends on whether access to them has been granted through an Open Graph access token. If none is configured in the Sponger UI, or the access token is invalid, the cartridge makes a best-effort graph; but much richer structured data can be extracted when an access token is granted. The Open Graph REST API requires that most calls to it include an access token. 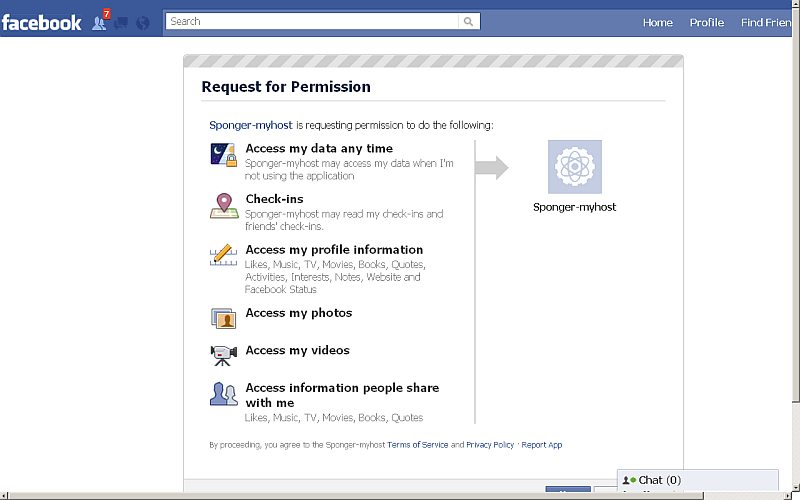 The access token is issued by a Facebook user to a requesting Facebook application, in this case the Sponger. 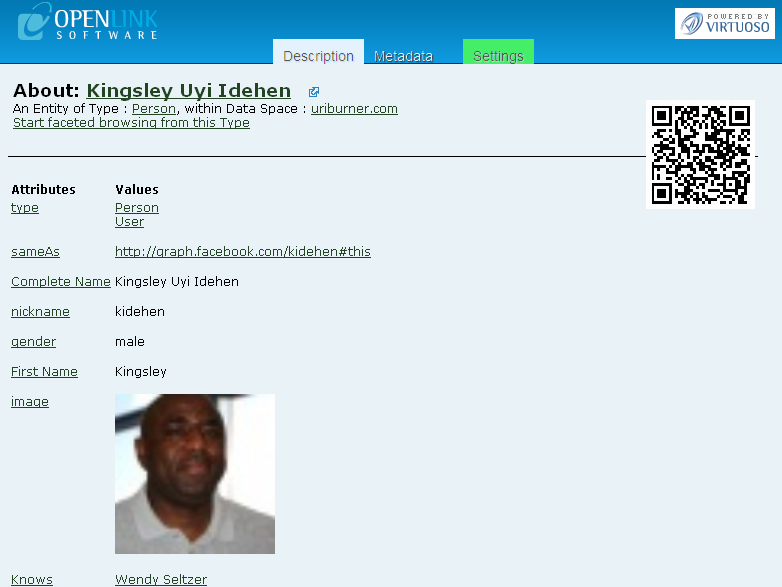 Via the token, a user grants the application access to their profile information. Any access token granted is specific to the user granting it. So the Sponger can fetch their Network Resource(s) connections, but not those of their friends. Two options exist for granting access tokens for use by the Facebook cartridge. The recommended option is to use VAL (Virtuoso Authentication Layer). 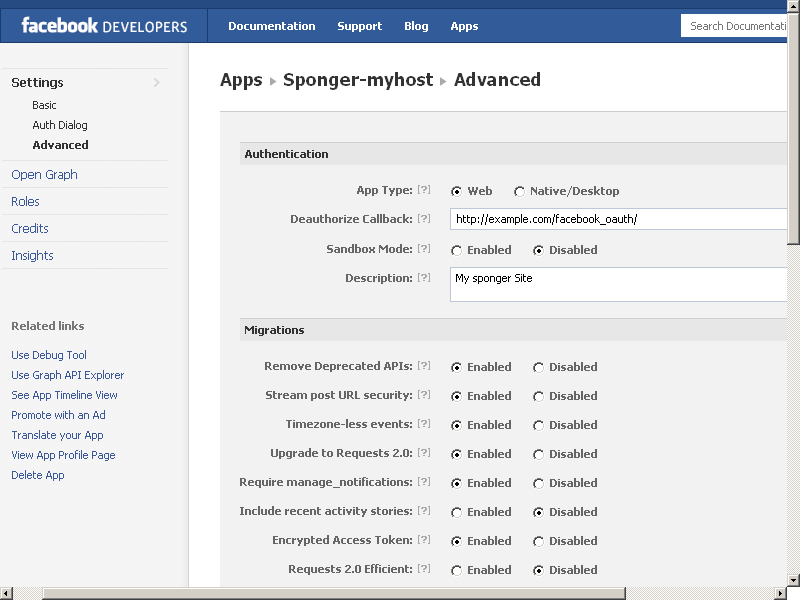 For details of how to configure the Facebook cartridge / VAL OAuth binding see topic Sponger OAuth Support via VAL. The following section describes how to configure the cartridge's pre-VAL OAuth binding. This option is deprecated and may be removed at some future time. Before you can obtain access tokens for the cartridge, you first need to register the Sponger as a Facebook application. 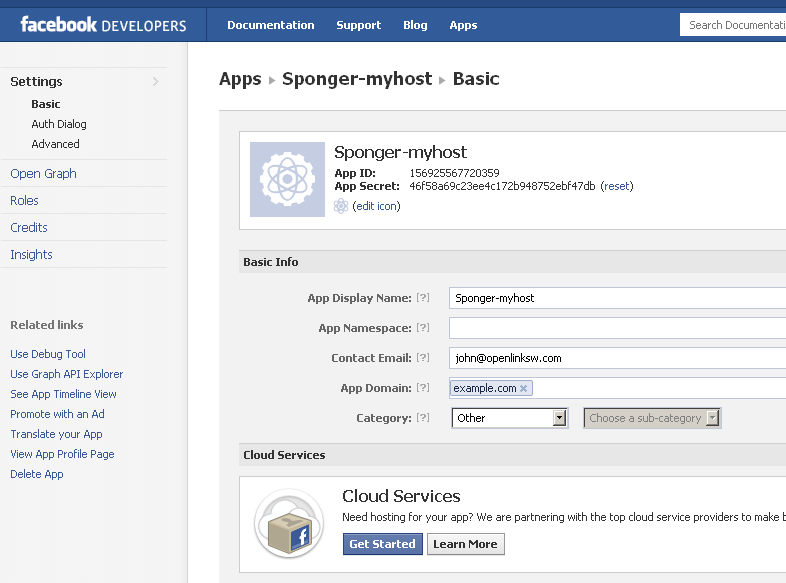 Register the Sponger using the Facebook Developer App. 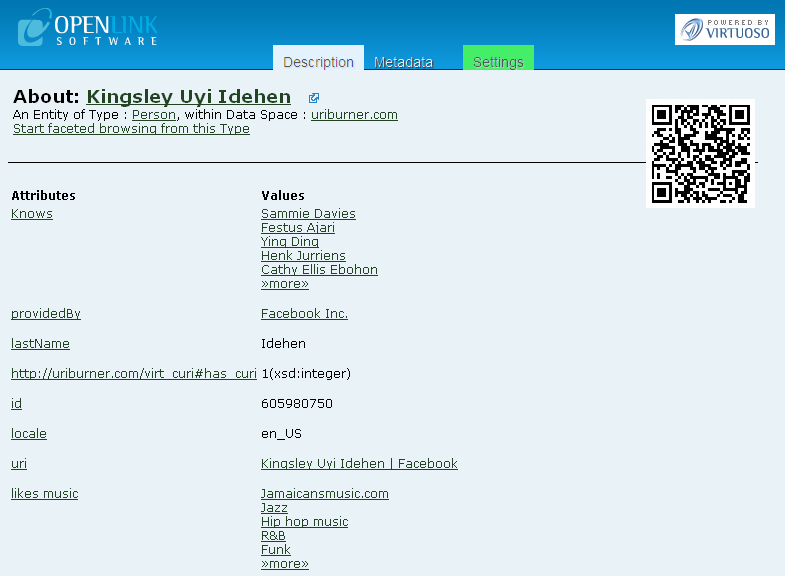 Note: The virtual directory /facebook_oauth/ is created when the Cartridges VAD is first installed. 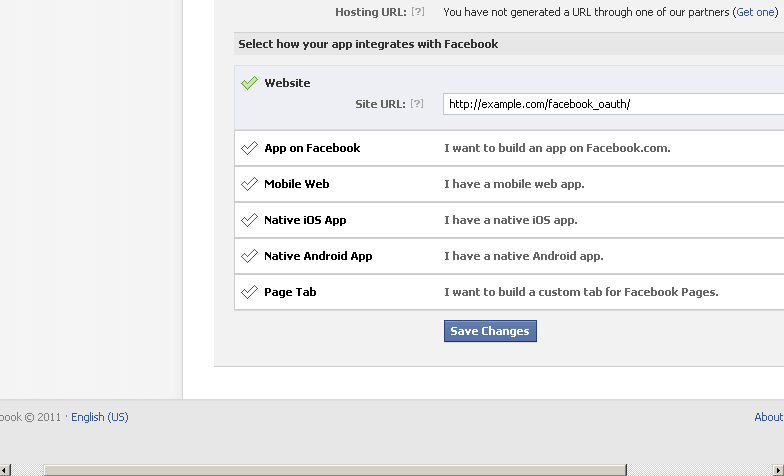 It provides a redirect URL to capture the response from the Facebook OAuth dialog. Click 'Update" to save the "Options" settings. 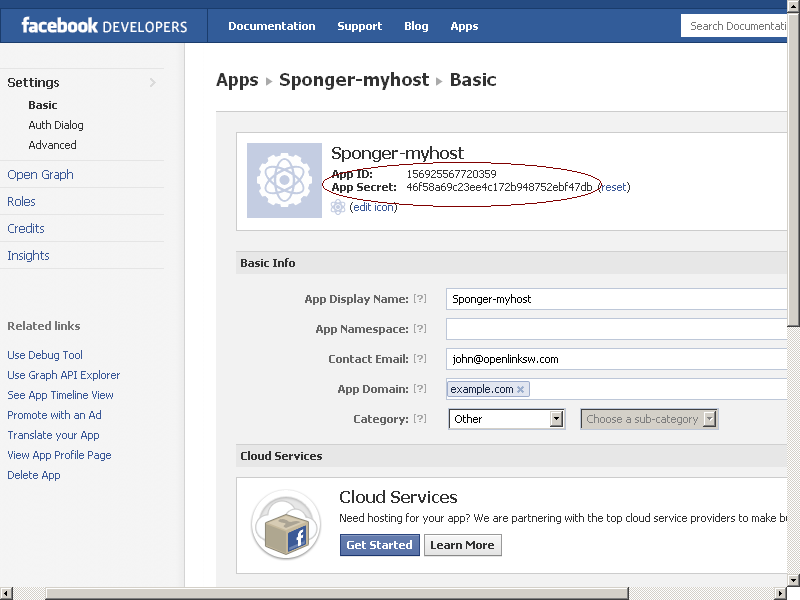 Having registered the Sponger as a Facebook application, it should now be possible for users to grant access tokens to the Sponger. 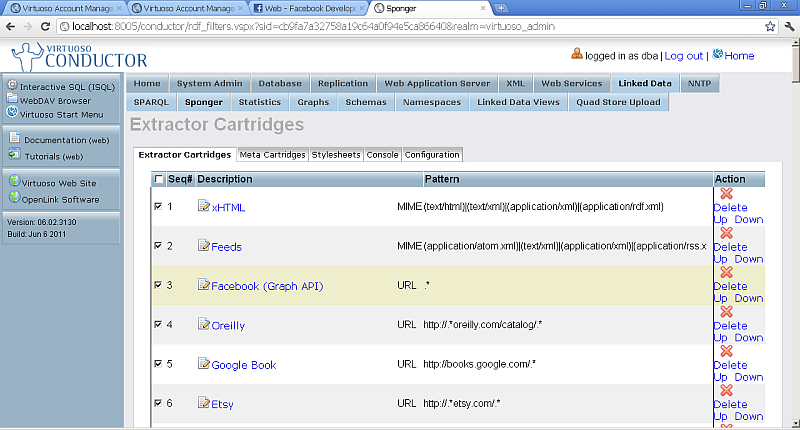 Click again on the "Facebook (Graph API)" Cartridge link from Conductor-> Sponger -> Extractor Cartridges . Click "Get Facebook access token" to retrieve a token. You will be asked to log into Facebook if you are not already. If you grant access to the requesting application (identified by the application name you entered earlier, e.g. 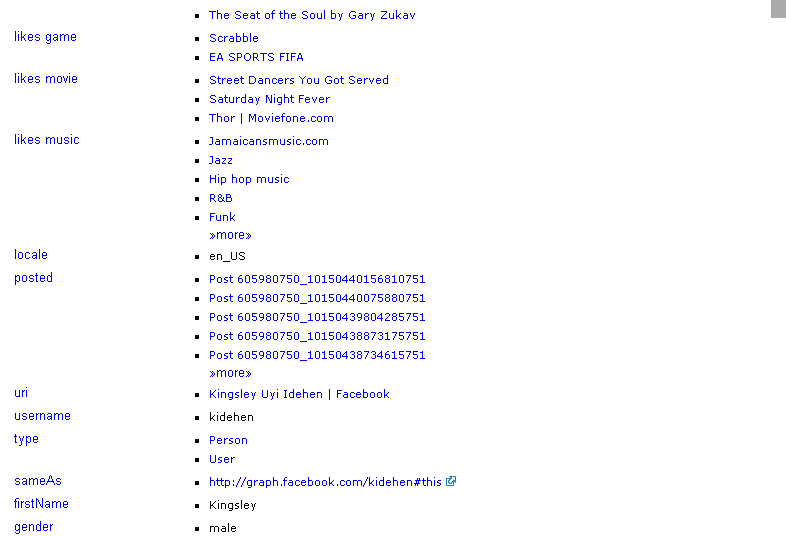 "Sponger (your-virtuoso-host)"), you'll be redirected to the app's site URL. End users can grant access tokens in a similar manner by clicking on the Facebook button displayed by the Sponger front page http://your-virtuoso-host:port/sponger/. By default, most access tokens expire after a short time period to ensure applications only make requests on behalf of the user when they are actively using the application, i.e. However, a user can grant a non-expiring access token. To request one, add offline_access=1 to the cartridge options. (offline_access=1 is the default setting when the Cartridges VAD is first installed.) The offline_access permission enables an application to perform authorized requests on behalf of the user at any time. Because a Facebook user profile can include hundreds of associated objects, the cartridge supports paging to provide some control over the amount of data returned by the Sponger. A value of 0 indicates no limit; all available pages will be returned. 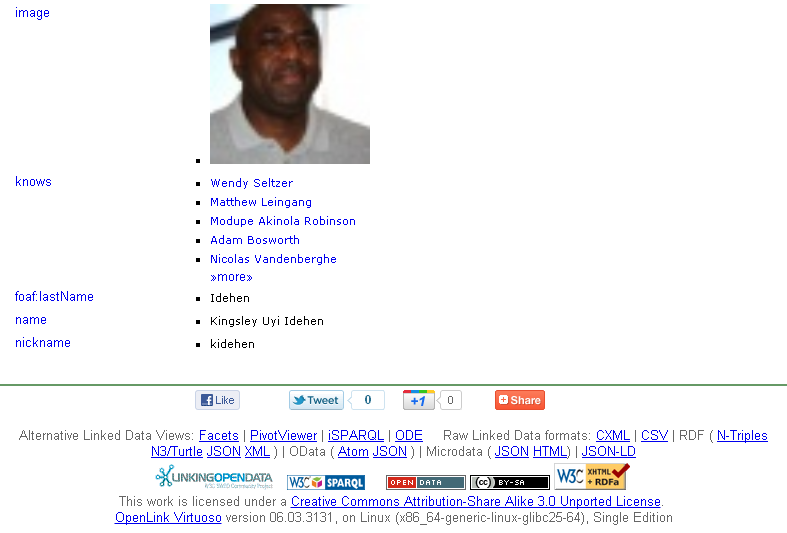 For connections using page sizes at or above this limit, only the first page will be fetched. A value of 0 will fetch all available pages, irrespective of their size.